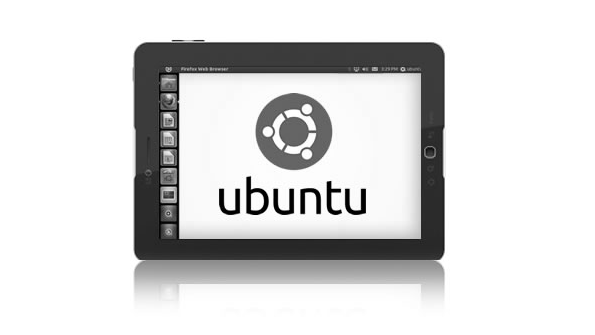 Is an Intel Tablet with Ubuntu Linux OS in the Works? Lately, almost all of the headlines about Ubuntu Linux and Canonical have involved the cloud. But open source fans dreaming of an Ubuntu-powered Intel x86 tablet may reason for excitement, if reports are accurate that the UT One Linux tablet will ship by this December. Lately, almost all of the headlines about Ubuntu Linux and Canonical have involved the cloud. But open source fans dreaming of an Ubuntu-powered Intel (INTC) x86 tablet may reason for excitement, if reports are accurate that the UT One Linux tablet will ship by this December. Phoronix reported news to this effect a few days ago, citing information from Andrew Bernstein, who has a history of involvement in Linux and open source development. Details on the tablet are sparse, but hardware specifications for the mobile device include an Intel Atom Z3735D SoC quad-core processor, 2GB of memory and 16GB of storage—which, incidentally, makes it pretty similar to the Dell Latitude 2100 netbook I bought five years ago, which is still happily chugging along on Ubuntu today. It’s not entirely clear who is launching the tablet, but Phoronix mentions companies named Demski Group and Mastermind Hardware and Logistics. Bernstein is apparently part of the venture as well. Canonical almost certainly is not. That latter fact makes this initiative much less interesting than it would be if Canonical were officially sponsoring an Ubuntu tablet running on Intel hardware, something that has yet to materialize despite Canonical’s longstanding effort to “converge” Ubuntu Linux across desktops, servers, the cloud and mobile devices. All the same, the tablet is still something to watch, if only for an indication of how much interest there really is in Ubuntu on x86 mobile hardware, and how much they’re willing to pay for it. We’ll see what happens in December. you can find some of the interesting details about the tablet and its release here…. Oh, great. Five-year old technology. That’ll be a hot seller. I want an Mint based tablet, running on a K1 Denver processor, who needs Intel’s over priced underpowered GPUs!! !